Beech Trees House is a beautiful modern house situated on a small development in a rural location. 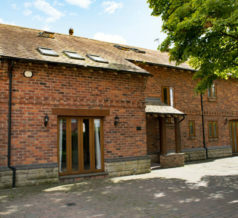 The home offers accommodation for up to five young people aged between eight and eighteen, who have been assessed as presenting, emotional, behavioural or educational difficulties. The home constitutes a safe and secure environment at what can be a very difficult time in their lives. Our aim is to provide young people with care planning based on a therapeutic approach and tailored to their individual needs. In tandem with our associated organisation Oakwood School, we create individual education packages for each young person, which both aids the reparative process and offers them the chance to maximise their future life choices. The ethos and atmosphere of the home encourages personal growth whilst taking all reasonable measures to minimise the risk of harm to self and others. We strive to offer a caring and stimulating environment that enables young people to reach their potential, building on their strengths and celebrating their individual achievements. It is essential that we give the young people in our care the opportunity to learn and grow, emotionally, educationally and socially. We want to ensure that they are able to repair and move on from the bad experiences they may have had in their life. As part of this approach we offer on-site therapy where our company therapist works with young people on an individual basis offering a service unique to each child’s particular needs. Allied to this is the importance of providing a safe environment free from abuse in its many forms, including bullying and any behaviour that is disrespectful of an individual or groups of individuals, their family or community. Inside the home all bedrooms are individualised to suit personal likes and dislikes. 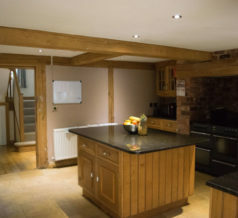 The home has excellent modern communal facilities, including large kitchen, dining and lounge areas. Externally the home has good sized gardens allowing plenty of opportunity for outdoor recreation. Preparing young people for independence, something they may have previously struggled to achieve on their own, is our ultimate aim. However, we don’t do this alone. We develop an honest and open working partnership with each young person and in cooperation with other agencies we provide a continuity and consistency of care that benefits the young person as a whole. Achieving this consistency does not happen by chance. Our staff team have all undertaken training across many aspects of the care of young people including safeguarding, child protection, behaviour management, first aid, ADHD and Autism, and they all undertake the Diploma Level 3 in Caring for children and Young People. 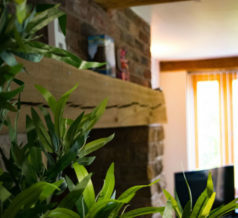 Everyone at the home combines professional expertise with compassion and a genuine desire to achieve the very best outcomes for the young people who come to live with us. Sonia Neale is the registered Home Manager for Beech Trees House and has been in post since December 2018. Sonia started working for BCS in March 2018. She has a wealth of knowledge and experience in working with children and young people, having managed her own home that achieved a 'Good' rating from Ofsted. She oversees and is responsible for the management of staff and the safety of everyone within the home, ensuring that the home is delivering a child centred and therapeutic approach on a day to day basis. Sonia is strongly committed to maintaining and developing the quality of care that the home delivers on a daily basis. Sonia has completed her NVQ Level 5 in Leadership and Management as well as completing her NVQ Level 3 in working with Children and Young People.